In Week 1, I hit a homer with my Texans pick, which was my only 9/10 confidence rating play and followed it up by hitting my Monday Night play thanks to the Ravens. When it came to the majority of games though, I like almost everyone got a little banged up. In general, Vegas looked to make out pretty well Week 1. The best record in our pick ’em league was The Moose and Bucinator at 9-7. Everyone else went .500 or below. A lot of people had the Packers, Panthers, Saints, and Seahawks, all favorites who lost to the dog. Here’s what’s on tap in week 2. I decided to rank the games by confidence levels, starting with my favorite picks and working my way down. Check back before kickoff for additional updates. Be sure to sign up for our pick ‘em league for a chance to win an NFL Shop custom t-shirt, it’s not too late to win! Also check out our mobile site which we just touched up a bit, you can check out our picks from anywhere! You should also like us on Facebook. Dallas Cowboys (-3) over SEATTLE SEAHAWKS — Confidence: 8/10 — The Cowboys looked phenomenal opening up against the Giants. Their new corners are exactly what they needed and Tony Romo is going to have a heck of season. Those corners will give DeMarcus Ware those few extra seconds to get to the quarterback and pile up the sacks. Ware will have a big season. Russell Wilson struggled against the Cardinals defense and should have the same problems against the Cowboys. Wilson just couldn’t get the pass protection he needed and that should be the same story this week. Wilson was sacked three times and hit seven against the Cardinals. Wilson seemed to get confused by the Cardinals blitz schemes. Target those rookie quarterbacks early and often. Seattle can be a tough place to play though and I don’t want to go too heavy against a respectable home dog. Seattle is 12-5 ATS at home in the last 3 years and the Cowboys are 2-8 ATS in the last 3 years after a division game. The later two points is why this game is not listed as a 9/10 confidence rating. 9/13 Update: Just some injuries to Seattle to report. OT Russell Okung, WR Sidney Rice, WR Golden Tate and TE Zach Miller are all listed as questionable. Tampa Bay Buccaneers (+7.5) over NEW YORK GIANTS — Confidence: 7/10 — The Bucs could be the Bengals of last year. A 4-12 team from the previous season that turns it around and has a winning record. I’m not expecting them to win here, but I am expecting them to compete against the Giants and cover the spread. The Bucs defensive line is strong with Gerald McCoy returning from injury that ended his sophomore season early and being paired up with Adrian Clayborn. The Bucs held the Panthers to 10 rushing yards in week 1. Nobody saw that coming. I don’t want to overreact to the Bucs win last week, but you’re getting too much value with the +7.5. Giants are 2-4 ATS in the last 3 years when coming off a loss to a division opponent. Bucs are 9-6 ATS on the road in the last 3 years. Giants are 7-10 ATS in the last 3 years at home. I have a full analysis of this pick if you’re interested. Baltimore Ravens (+2.5) over PHILADELPHIA EAGLES — Confidence: 7/10 — I’m an Eagles fan and you can’t bet against your team, but how the Eagles are favored in this one is beyond me. The Eagles lost a lot of games at home last season. The Ravens are a dominant football team and the Eagles look far from a good football team at this point. Vick got just 12 preseason snaps and is extremely rusty. He threw 4 INTs against the Browns, the 3rd worst defense in the league. 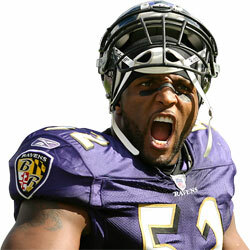 What is going to happen when he faces this Ravens defense? I’ll hope for the best and hope that Vegas got this one right for my own sake. Washington Redskins (-3) over ST. LOUIS RAMS — Confidence: 7/10 — The Rams will be a better team this season thanks to Jeff Fisher, but they’re not quite ready to turn the corner just yet. It looks like the Redskins are. The Rams put up a hell of a fight against the Lions by forcing some turnovers, but don’t expect the turnovers to keep flowing. RGIII was extremely impressive in his debut and should continue to roll. Houston Texans (-7.5) over JACKSONVILLE JAGUARS — Confidence: 6/10 — The Texans were my team least week, but this could be too many points to lay on the road. The Texans beat the Jags 20-13 in Jacksonville last year as 6-point favorites and Jacksonville beat the Texans in 2010 in Jacksonville as 1-point favorites. There are some weird outcomes in Jacksonville. The Jags upset the Ravens last year, whooped the Bucs, and held the Saints to 23 points (losing 23-10 though). It simply impressed me that Brees was limited to a mere 2 TDs. The Jags were 4-4 at home against the spread last season. They’re just not a team that I want to bet against at home, but I still have to go Texans here who may give them a spanking this week. I would recommend throwing the Texans in a teaser with another team, perhaps the Bengals. NEW ENGLAND PATRIOTS (-13.5) over Arizona Cardinals — Confidence: 6/10 –Patriots were lights out over the Titans in Week 1. With Brady at home, it should be another easy victory for the Pats. The Patriots defense has also taken tremendous strides of improvement thanks in part to that Alabama LB they drafted Dont’a Hightowner. I hate high spreads in general so I may pass on this one. The Patriots were a double-digit favorites last year only twice. The Pats covered 17 against the Chiefs, but didn’t cover the 20.5 against the Colts, winning that one 31-24. The Patriots were 9-7 ATS last year so be cautious before jumping on the high lines. I’ll give the Cardinals a fighting chance to cover this spread. CINCINNATI BENGALS (-7) over Cleveland Browns — Confidence: 6/10 — Brandon Weeden continues to look pitiful. He’s missing his receivers and looks like a complete bust. He couldn’t capitalize off of 5 Eagles turnovers. The Bengals have a solid defense that should shut the Browns down. Don’t let the Ravens rout fool you. Dalton and Green got to play the 3rd best defense, now they get to play the 3rd worst defense. Bengals (-1) in any teaser looks like a lock. Bengals beat the Browns twice last year. 27-20 on the road in the week 1 opener and then 23-20 at home on November 27. The Bengals were 6.5 points favorites in both. These teams typically battle it out and the Browns defense can keep them within a touchdown. However, I can’t ignore how pitiful their quarterback is, which is why I have to go Bengals. I would throw the Browns in a teaser with the Texans. Oakland Raiders (-2.5) over MIAMI DOLPHINS — Confidence: 6/10 — I’ll be looking to bet against Miami early and often this season. I would take the Raiders -6.5 at home in a heart beat, but I’m just not sure I can trust the Raiders on a long road trip yet. I’ll stay away from those west coast teams when playing at 1:00 on the east. SAN DIEGO CHARGERS (-6) over Tennessee Titans — Confidence: 6/10 — I am expecting a bit more from the Titans offense in week 2, but not enough to overcome Philip Rivers and the Chargers at home. The Chargers will also have a nice pass rush this year, which could rattle Jake Locker. ATLANTA FALCONS (-3) over Denver Broncos — Confidence: 6/10 — The Falcons are going to be a dangerous team this year. It looks like they can just put up points at will. Peyton Manning looked crisp in his debt. I was expecting him to need a few tune up games before heating up around week 4. I think you’ll see the Falcons offense outduel Peyton Manning and the Broncos at home. This is going to be a great Monday Night game to watch. Minnesota Vikings (-1.5) over INDIANAPOLIS COLTS — Confidence: 5/10 — AP looks healthy and should have a another big game against a team that is soft against the run. If Dwight Freeney is out, another reason to take the Vikings as the Colts can’t generate a pass rush without him. SAN FRANCISCO 49ERS (-6.5) over Detroit Lions — Confidence: 5/10 — What a statement game from the 49ers last week. Hand down the NFC favorites right now, but I’m sure the Falcons will beg to differ about that. The 49ers looked absolutely dominant. I am pumped for this game. PITTSBURGH STEELERS (-6) over New York Jets — Confidence: 5/10 — So the Jets really do have an offense that is capable of scoring touchdowns. The Steelers looked good for 3 quarters. 14 of the Broncos points came via a 70-yard Demarius Thomas TD after he broke a tackle and a Roethlisberger INT return. Big Ben had a ton of 3rd-down conversions. I think you see the Steelers take care of business at home against the Jets. Chicago Bears (+6) over GREEN BAY PACKERS — Confidence 4/10 — Tough game to call here. I can’t see Rodgers going 0-2 at home. The Bears looked great albeit against the Colts. I have high expectations for the Bears this year. Jay Cutler, Brandon Marshall, Matt Forte, and Michael Bush were all clicking and the Bears defense came up with a ton of turnovers. I see the Packers winning this one by 3-4 points. With a line movement to Bears +6, this could be more enticing. The Packers could be up by 10-11 points in the 4th (say 28-17) while a late TD could give the Bears the backdoor cover here. CAROLINA PANTHERS (+3) over the New Orleans Saints — Confidence: 4/10 — Bountygate did end up hurting the Saints, who lost at home where they went 8-0 last year. The Saints couldn’t generate a pass rush and are sorely missing CB Tracy Porter now with the Broncos. Both teams have a lot of defensive issues and will making betting on this game intolerable as it looks to be an offensive shootout. I’ll give the nod to the Panthers at home. BUFFALO BILLS (-3) over Kansas City Chiefs — Confidence: 4/10 — I could go either way with this one. Both teams were destroyed last week. Slight nod to the Bills who beat the Chiefs last year on the road and will have the advantage of being at home this year. What is the best pick to make in week 2 against the spread? I’m not crazy about Bengals (-9.5). I would only consider the spread at (-7.0) and not a half-point more. I’m anticipating a Bengals win by 7-14. Bengals/Browns games are typically tight. Although I don’t expect the Browns offense to do anything, the Browns defense can keep them within a touchdown. What I did was place a two-team teaser with the Texans and Bengals so the spread isn’t a factor. A Bengals win by the score of 20-13 would not surprise me. Good luck. Hey Vince. Cowboys (-3) over Seahawks is my highest confidence play this week. I still like them at (-3.5) as I think they’ll win by 7-14. You should be able to shop around and find this line still at (-3) somewhere. I have this game as an 8/10. What’s holding me back is Seattle’s record ATS at home where they are 12-5 ATS over the last 3 years. This could also be a hangover game for Dallas as they are coming off a big division win against the Giants and now have to take another long trip to Seattle to play back-to-back road games. Cowboys are 2-8 ATS following a division game. Yikes! Rather than looking into the trends, I would rather look at the teams and what I’m expecting is that Russell Wilson will struggle as he continues to get pressured by the Cowboys D and is confused by their blitz schemes. If Dallas continues to bring the heat, Dallas should have this game won, but it’s a tough spot on the road for back-to-back games, which is why I won’t go nuts on this game like I did with the Texans. Sidney Rice also banged up his knee. Good luck.